David Manz, former University of Calgary professor, invented the BioSand Water Filter. Samaritan's Purse Canada has built and installed more than 264,000 worldwide. Pictured above: David Manz visiting recently with Theng Harn and his granddaughter. 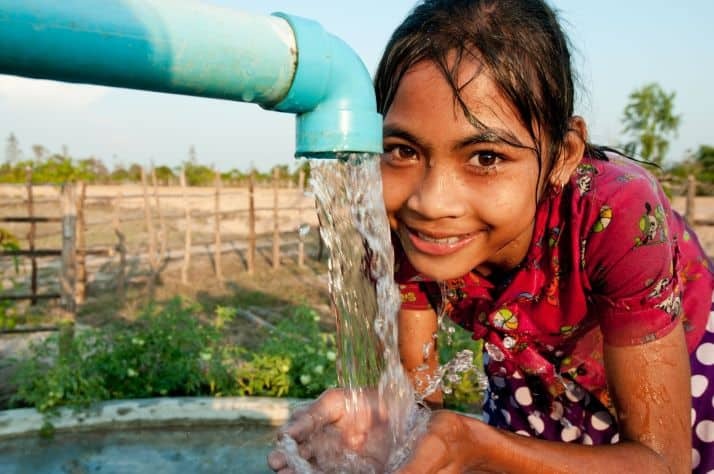 Harn, in 1999, received Samaritan’s Purse Canada’s first-ever BioSand Water Filter in Cambodia. Sixteen years later, the filter is still providing safe water every day. How many of us have saved one life? How many of us have saved thousands of people’s lives? David Manz has. The quiet-spoken former University of Calgary engineering professor invented in 1990 a method of quickly and cost-effectively transforming contaminated water into drinkable water. Back then, 1.2 billion people around the world were fighting each day to survive while drinking polluted water. Someone-usually a child-was dying about every 20 seconds from diarrheal diseases caused by unsafe water. 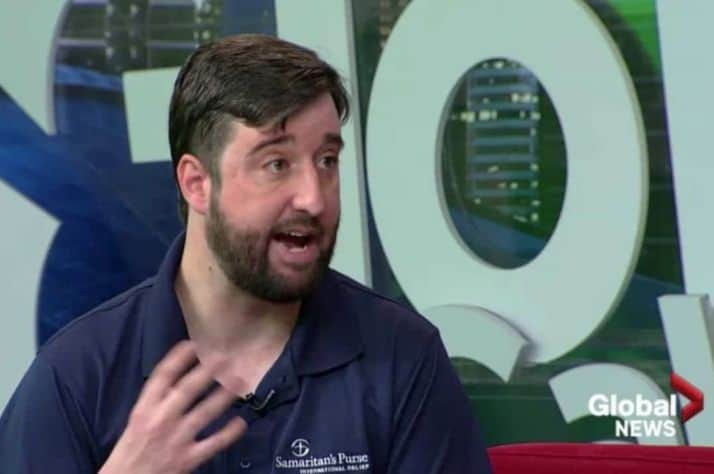 The former Saskatchewan farm boy began offering his new BioSand Water Filter (BSF) to humanitarian organizations in the hope they could help export the technology to the developing world. 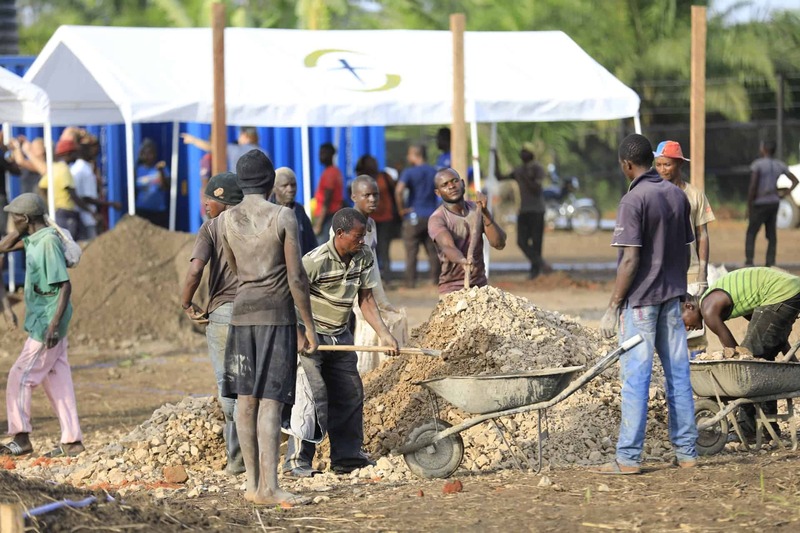 Several organizations-led by Samaritan’s Purse Canada, a Calgary-based international relief and development agency-accepted Manz’s invitation and began building the cast-concrete filters in communities where they would be used. Now, 25 years after BSFs were invented, Samaritan’s Purse Canada has built and installed more than 264,000 worldwide. The Christian charity’s Australian and U.K. affiliates-with other organizations, including Calgary-based Centre for Affordable Water and Sanitation Technology, which trains people to build BSFs- are responsible for many more. The efforts of these organizations, and of many others focused on alternate methods of improving water quality and access in the developing world, mean the number of people globally trying to survive without access to safe water has been reduced by more than one-third from only a few years ago. However, UNICEF warns that 750 million people worldwide are still waiting for access to safe water. 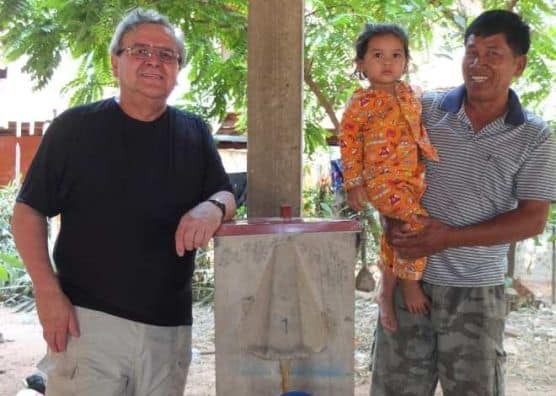 As a small gesture of thanks to Manz for the vital role he has played in this global battle against water-borne diseases, Samaritan’s Purse Canada recently took the 67-year-old inventor to Cambodia to see the impact of his filter. Manz visited several rural communities where there are BioSand filters, both new and old, and joined Samaritan’s Purse staff in drinking water from them. What was it like to meet many Cambodians-and be warmly thanked by them-who might not be alive if not for their access to his water filter technology? One of the trip highlights was meeting Theng Harn, the 58-year-old whose seven-member family received the first filter Samaritan’s Purse built and installed in Cambodia in 1999. 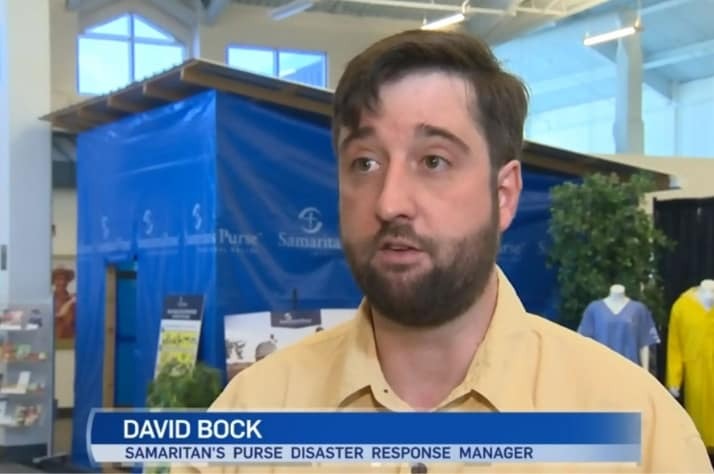 “Ecstatic” isn’t a word we typically use at Samaritan’s Purse. We’re thankful-to Manz for his filter invention, to our donors for making our filter construction possible, and to God for enabling us to provide the filters in 26 countries so far in Asia, Africa and Latin America. But we also join Manz in knowing that about 750 million people around the world are still trying to survive without access to safe water. Someone-and again, usually a child-is still dying roughly every 30 seconds from water-related diseases. The need for safe and affordable water solutions continues. And the need is urgent.